What is an Ancestor’s FAN Club? FAN is an acronym. But let me explain how it came up. 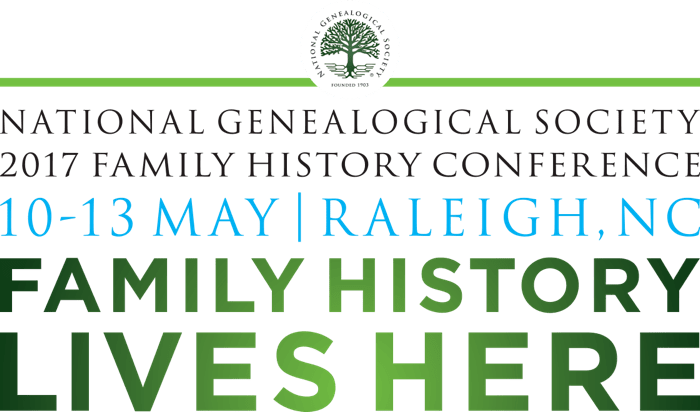 This week I am in Raleigh, North Carolina learning how to be a better genealogy researcher. This is the third National Genealogical Society conference I’ve attended, and it broadens my skills every year. One of the best tools I learned to use while attending these conferences is called the FAN Principle. It alone has opened so many doors and knocked down so many genealogical walls. For my readers who don’t understand, a genealogical wall is when you reach a roadblock in your ancestry research. For example, for years we were unable to find Grandmother Annis Hamrick’s mother’s mother, plus we knew very little about her own mother, as well. Grandma Annis’s mother died when she was only two years old. This is our only photo of Annis’s mother. 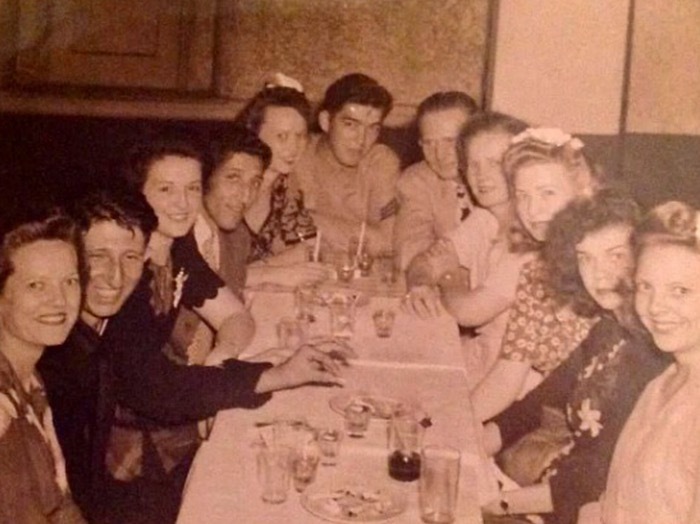 She is sitting behind the man in the center, but who are all the other people? Were they family, acquaintances, or neighbors? Anyway, Annis’s grandmother on her mother’ s side was a roadblock for me. I only broke through that roadblock after meeting some of my DNA cousins from the same lineage. They would make up the “F” in FAN. FAN is an acronym for family, associates, and neighbors. It is a tried and true method to help overcome the holes in your research. It can help you break through a brick wall. I heard it first used by Elizabeth Shown Mills at a genealogy conference. She’s been helping amateur genealogists with everything from writing citations to gathering evidence. Now I’m using the FAN Principle for William and Mary, the two main characters of my book, by searching for those who lived around them and those who they associated with, such as their friends. For example, I believe that Mary’s father Jesse and William Andrews may have been friends even before William became involved with Mary. I base this on several instances where the two men’s names are recorded together, such as when they voted one after the other for Florida statehood. They voted very early in the morning on the day set for the election, the third and fourth people to vote at the courthouse. Since they lived way out from town in the Elizabeth Community, this probably means that they came into town and spent the night there before the election. This is rich information that I’ll use in my book. By researching these other people, we begin to open new avenues in which to research further. 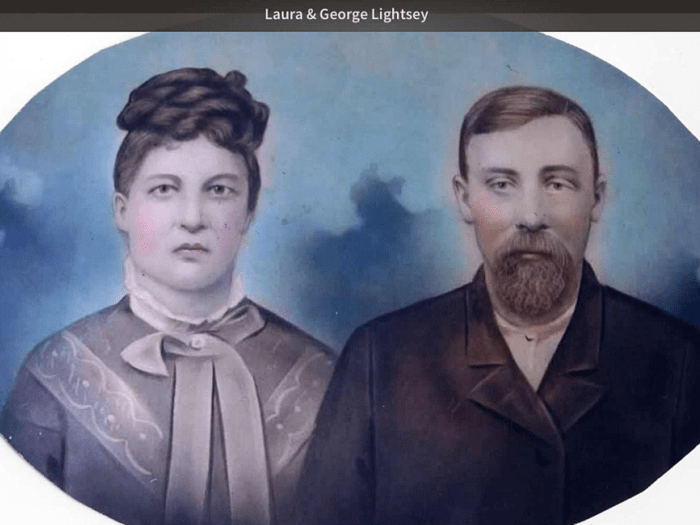 For example, it appears that William and Mary’s daughter Laura married her neighbor George Lightsey. By studying the relationship, we found that the Lightseys and her mother’s family, the Walkers, lived near each other in South Carolina before coming to Florida. So how do we begin compiling this list of friends, associates, and neighbors? One way is to break it down into three steps. First, look up the family members who lived nearby, in the same town, and in the same county. One way to find them is by using census records. There you can see who lived closest to them. Then try to determine exactly if these neighbors are indeed family or just associates, or did they know each other in other ways. Did they migrate into the area together? Did they live near each other before they moved? Just how closely are they kin? There may be others with the same surname living in the area. Step Two is to research the family’s associates. Other questions can be asked. Who did they come in contact with? With whom did they serve in times of war? Who worked in their offices or stores. Who did they do business with? Who did they hang out with? Finally, step three is to check out their neighbors. Again, census records can help identify them. But what did the neighbors do for a living? Did they do the same thing as our ancestor or could they have been business partners? Were there any marriages between their children? Did their children go to school together? As you can tell, there are so many questions to be answered. This photo is a school in Goodwater, Alabama. Grandmother Annis’s mother’s older siblings may have been in this photo. In another example, sometimes the answer may be in what cannot be found. I studied Mary’s parents to see who their neighbors were and if there had been any connections between these families. Though Mary’s family had a house full of sons and daughters, as did their closest neighbors, there were no marriages between any of them. From this, I surmise that these houses may have been a long way apart. Maybe Mary’s family lived far away from their neighbors. By the way, though, there were marriages between members of their church. 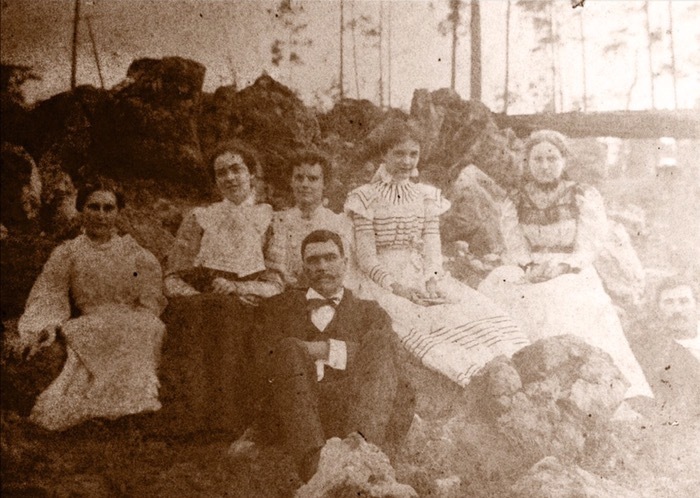 Mary’s parents Jesse and Elizabeth met and married in South Carolina, long before they moved to Florida. Until now we only had one document that showed that Elizabeth’s last name was Wilson, but that document was written long after she died. Plus the information came from someone proven to be unreliable in her memories. Just the other day though one of the amateur genealogists discovered while studying the FAN club of the grandfather of Jesse Walker that right next door lived a Wilson. This Wilson is the right age to be the grandfather of Elizabeth Wilson who married Jesse Walker. It is another connection to be studied further. I’ve also discovered that William Andrews was hired twice by Abram Cabell also of Jefferson County–once as an Assistant Marshall for the 1850 Florida census and again later as the first railroad Depot Agent for Jefferson County. This is another lead to follow. One must ask a major question. Did the two men know each other before moving to Florida? William was born and raised in the Washington, DC area, but we know very little about his life before he moved to Florida. Was Abram Cabell from there, too? He later became a Congressman from Florida. More leads to follow. So the FAN Principle is an important method if you find yourself hitting road blocks in your ancestry research. Plus it is so interesting to discover who was important to your ancestor.